The Bret Dahmke Scholarship Fund was started in March 2015 when the family of Bret Dahmke, who was visually impaired himself, wanted to turn the tragic situation of Bret’s death at a young age into a beacon of hope for the future by supporting other families who have a child with blindness/low vision. This $500 scholarship will assist a Kentucky family of a child with a visual impairment to attend a local or national conference that is related to blindness/low vision. The goal is to better equip the family with resources, insight, and tools needed to support their child. The scholarship funds may be used for transportation, lodging, or conference fees. This scholarship is offered every other year. Have a child with a visual impairment within the age range of birth to high school. Be a resident of Kentucky. Please write a narrative explaining the learning opportunity. List the conference you would like or have registered to attend. Explain how this scholarship could help with expenses. Be sure to include your name, the name of your child who is visually impaired, your child’s age, the school your child attends or agency from which your child is receiving vision-specific services (i.e., public/private school, VIPS, etc. ), mailing address and phone number. The winner will be announced March 9, 2019. Unfortunately, no applications will be taken by telephone but if you need any additional information, please email Carol Dahmke or call (502) 498-2921. Thank you! Thank you to the Dahmke Family for awarding me the Bret Dahmke scholarship to help make this trip possible. 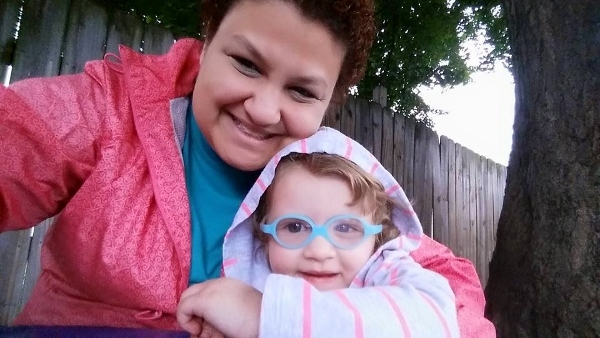 Ashley May is the mother of Pyper, a little girl who is visually impaired. Ashley attended the AER (Association for Education and Rehabilitation of the Blind and Visually Impaired) Conference in Jacksonville, Florida as a result of the scholarship.